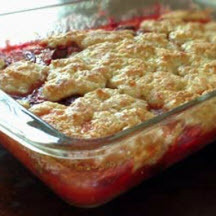 CooksRecipes has quality, kitchen-tested recipes for a variety of fruit cobblers, including a chocolate cobbler and sweet potato cobbler, that you can count on for successful deliciousness. 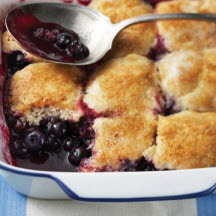 Warm, comforting blueberry cobbler is especially nice topped off with a scoop of vanilla ice cream. Delicious on its own or top with whipped cream or frozen vanilla yogurt. 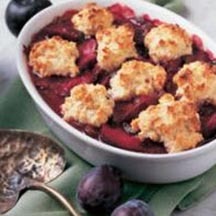 This prune plum cobbler is just plum good—even more so when served with a scoop of vanilla ice cream!